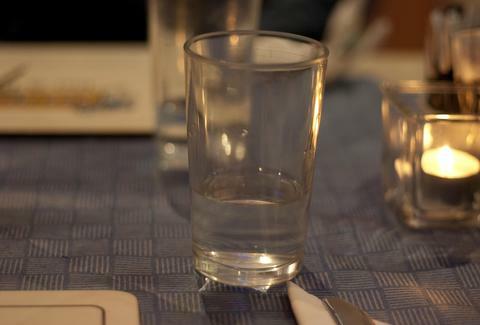 Want Water With Dinner? If You're in SF, You'll Have to Request It. The "beautiful" weather and hottest winter California has ever experienced on record that you've been bragging about to all of your snow-buried friends back East on Instagram? It's no secret that it's the cause of what is now a historic drought that's about to enter its fourth year. And due to the fact that conservation efforts are lagging (year-over-year water use in California dropped only 10% during the last seven months of 2014), the State Water Resources Control Board, which usually lets local water agencies manage how their customers use water, has decided to step in, according to the San Francisco Chronicle. Well, 1) outdoor watering for households in some parts of California will now be limited to two days, 2) if there's been any measurable rainfall, you're not allowed to water the lawn you don't have for 48 hours, 3) hotels must provide signs in rooms telling you towels and sheets don't have to be washed daily if you don't want, and 4) restaurants and bars are now prohibited from bringing you water with your meal or cocktail unless you specifically ask for it. Violations of any of these new rules carry fines of $500 per event. Everything takes effect April 15th. In the meantime, it's not too late to do a rain dance (or 14). Daisy Barringer is Thrillist's SF Editor who fully supports the mantra "If it's mellow, let it yellow; if it's brown, flush it down." Pray for rain and snow with her on Twitter @daisy.